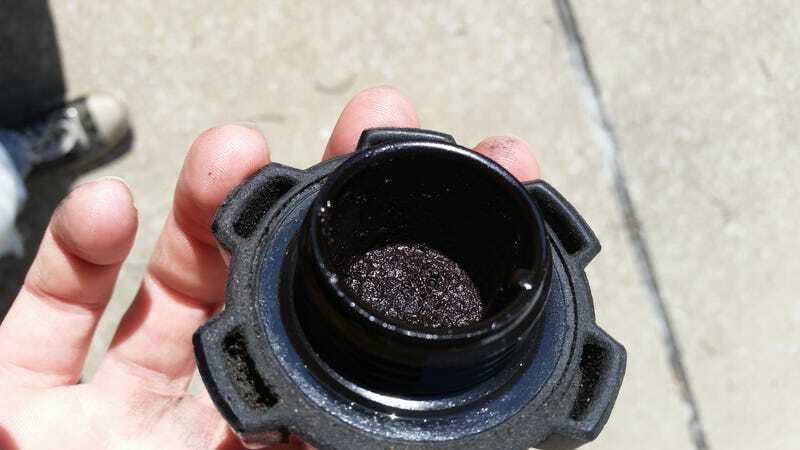 An engine with 105k miles on it has no business being that crusty under the cap. We’ll see how it looks in 5k miles with synthetic in there. The (conventional) oil I drained out wasn’t terrible, but not brand new either. The sticker on the windshield claimed it was good for another 1500 miles but... no. It’s my car now so it does as I do. In other news, I’m going to get parts this week to redo the brakes. They work but aren’t confidence-inspiring. Fluid is completely black, no reason not to think it’s original. Flex lines are starting to crack, all the bleeders are going to break (rusted in place), one (maybe both) calipers are dragging, and the rear shoes are wearing unevenly so I’m just shotgunning the entire system except the rear drums themselves.